Video SEO: Your simple step by step guide to get more views. 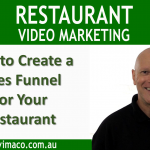 Have you ever created a video that you put your heart and soul into it, uploaded it, and waited for your audience to come – but they never did. Well I have and it can really be deflating and you wonder whether it was worthwhile. Well I was determined that would never happen again. So I did my research and learnt how to rank a video on the first page on Google for my key word “video marketing”. Or you can also download my Video SEO Guide, absolutely free. Click right here, or the link in the description below, leave your contact details and I will email you the link to the download your free guide to Video SEO. Download the FREE VIDEO SEO GUIDE HERE.